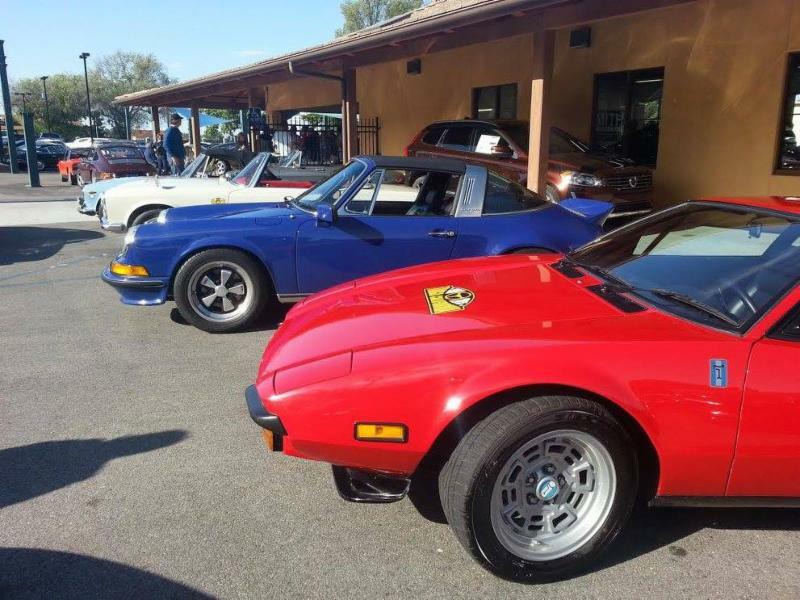 I was fortunate enough to attend the 7th annual Targa California, which was held on April 23-25. What is the Targa California, you ask? In a nutshell, the Targa California is a tour over some of California's best back roads for 1976 and older cars. The pre-1976 requirement isn't rigid, however. 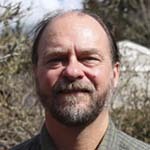 If Dave Bouzaglou, the "Chief Disorganizer" likes you, or your car, you can participate! The 2015 edition of Targa started in Thousand Oaks, and I would be joining my friends Chris Harrell and Dave Stallcup (fellow PCA members) on the drive in my 1972 911T (a.k.a. Barney). Chris would be driving his 1973 911T hotrod (a.k.a. The Beast), and Dave got special dispensation to bring his 1988 924S (his 1972 911T was having its new paint job finalized). Of course, the next thing I had to do was to physically arrive in Thousand Oaks. By Mapquest's calculations, my preferred route down Highway 101 (instead of continually dodging semi-trucks on I-5), would be about 425 miles. When I told some of my friends about Targa, and my plan to drive down there, the conversation went something along these lines: "Really? In a 43-year old car?" I replied, well, it IS a Porsche! "So what did you do to get the car ready?" I said, "well, I washed it, changed the oil, adjusted tire pressures, and autocrossed it last weekend!" I hoped that my confidence wasn't misplaced, as I had never driven the car over 200 miles in one day. As it happened, my optimism was rewarded. Barney motored serenely down to Thousand Oaks, purring happily in that 3,000 - 4,000 rpm range that air-cooled Porsches seem to thrive on. And I even got 23 mpg! Once the route broke free of Simi Valley and Santa Paula, we headed into the mountains on Highway 166. Somehow, I got nominated to be the "leader" of our little group, so I tried to adopt a quick, but "sensible" pace. We all had radios in our cars, so the pace could be adjusted if necessary. Soon enough, we began to overtake the cars that didn't handle as well as old Porsches do. Believe me, we weren't making these passes because of superior horsepower - Barney only has 125hp from the 2.2 liter T engine. After an entertaining run down the mountain, we proceeded through rolling hills, and then through the lovely city of Taft. This part of California is oil country, so it seemed appropriate that we were consuming some of those resources in our old Porsches. A bit further up the road from Taft was our first real regrouping point: Buttonwillow Raceway Park. The plan was to follow a pace car around the track, and then return to the paddock area. After getting the GoPro cameras primed, we joined in. I had never been to Buttonwillow before, so I had no idea where the track went. I tried to follow the black lines on the track, instead of the car in front of me. That was a good decision! The pace car maintained a reasonable pace, but Barney, being a race car, was chomping at the bit to go faster. Maybe next time. As I pulled into the paddock area to park, I heard Chris on the radio saying "Let's do that again!" I was game, but I had shut off my camera, and was now trying to fumble around with it to record the next session. I was still fumbling as we passed the starter and headed to the track. I had to slow way down to get the camera functioning, and when I looked up, there was....clear track ahead! Naturally, we had to pick up the pace to rejoin the group. What fun! That brief exposure to the race track just confirms my commitment to do a DE (Drivers Education) event sometime this year. I can't wait! After a brief lunch at the track, we stayed to the west of I-5, eventually picking up Highway 25, which eventually goes through Hollister. If you've never driven Highway 25, you're missing out on a treat. Great rolling terrain, plenty of medium-speed corners, passing zones, and little traffic. Due to the lack of rain, the wildflowers weren't the best, but very scenic nevertheless. After a couple of wrong turns by our fearless leader (me), we eventually made it to our hotel in Scotts Valley. There, it was time to get dinner and review the on-track videos we had made. I put a bit over 400 miles on Barney on Day 1. Fortunately, the two upcoming days were much shorter. We decided to play caboose again on Day 2, which first featured a run up Highway 9 and Highway 35 (Skyline Boulevard). These roads were not much more than paved goat paths, barely 1.5 lanes wide, with plenty of sharp, blind turns. The dappled sunlight filtering through the trees made visibility even more dicey. I was glad that Dave was leading this section, and he did a great job, maintaining a sane, but entertaining pace. The main goal for the morning was Alice's Restaurant. We had stopped earlier to take pictures of Palo Alto from Skyline, so by the time we reached Alice's, the parking lot was a mob scene. We opted to skip the stop. The lunch suggestion for the group was Half Moon Bay, not far north of Alice's. Chris suggested that we deviate from the route book and just follow Highway 84 to the coast. Good call by Chris. 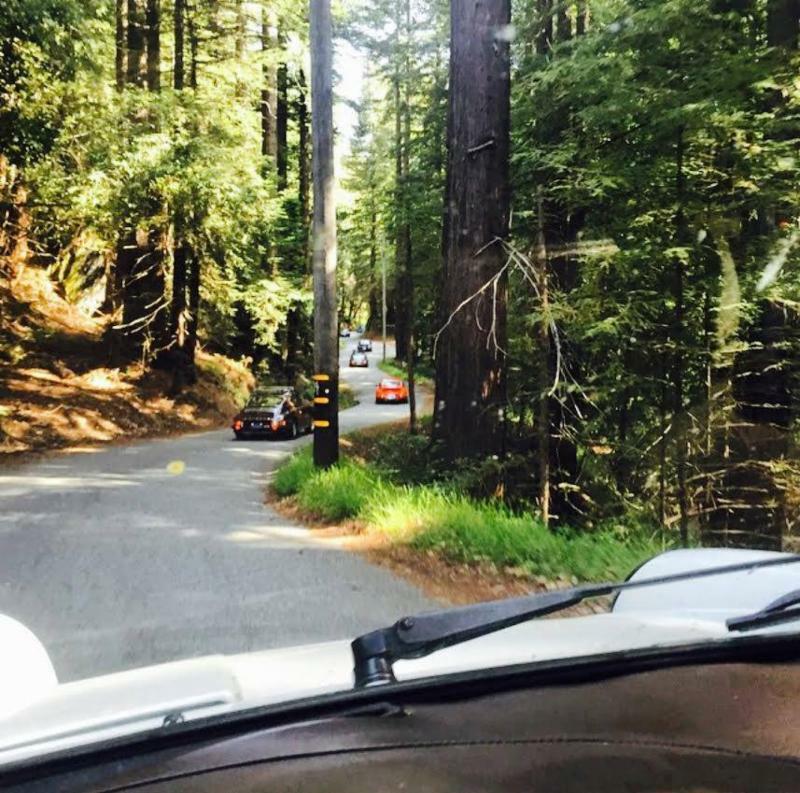 We hooked up with a group of about 8 other Targa participants, and they lead us on a fun, fast roller coaster ride down to Highway 1. I can't imagine how the "actual" route could have been more entertaining. After lunch, it was time to head back to Scotts Valley via Highway 1. Highway 1 is picturesque, but is clogged with slow/inattentive drivers. I was happy to turn onto Bonny Doon Road, and get back to the proper Porsche roads. After a brief time to freshen up, it was time to head to Bruce Canepa's shop in Scotts Valley. Mere words can't describe the "shop." Go to the website and marvel at the collection of cars for sale, and for display. The actual "shop" is equally impressive, with cars as diverse as a Porsche 906, to a Ferrari 365 GTB4 being serviced. Equally amazing was the "wall of cars" at the back of the shop. The visit was a fitting end to another entertaining day. For Day 3, we again repeated the caboose strategy, and decided to go elsewhere for breakfast. We found a nice diner a couple of miles from the hotel, and all had great meals. We were all belted in and ready to go, and then, the Beast would not start. Early 911s aren't that complex, so we figured that it was something simple. Remembering the 3 elements necessary for combustion (air, fuel, spark), we raised the back lid while Chris tried to start the car again. No luck. We could smell the fuel (gotta love carburetors), and I've never heard of old rain-hat style air filters plugging up, so I grabbed the distributor cap. It was loose. One of the two clips wasn't attached. Surely that was the issue. Cap secured, Chris tried again. Nada. So, we pulled the cap off to find that the end of the rotor had burned off! Of course, the next question was where we were going to find a rotor for a 1973 Porsche in Scotts Valley on a Saturday. As always, Google is your friend, and we soon located an auto parts place nearby. Naturally, the part wasn't in stock, but the parts book was showing a rotor that was completely unlike the one we'd removed. The parts guy says: "I have this other one that looks like yours, but it's for a 914." Chris bought it anyway. 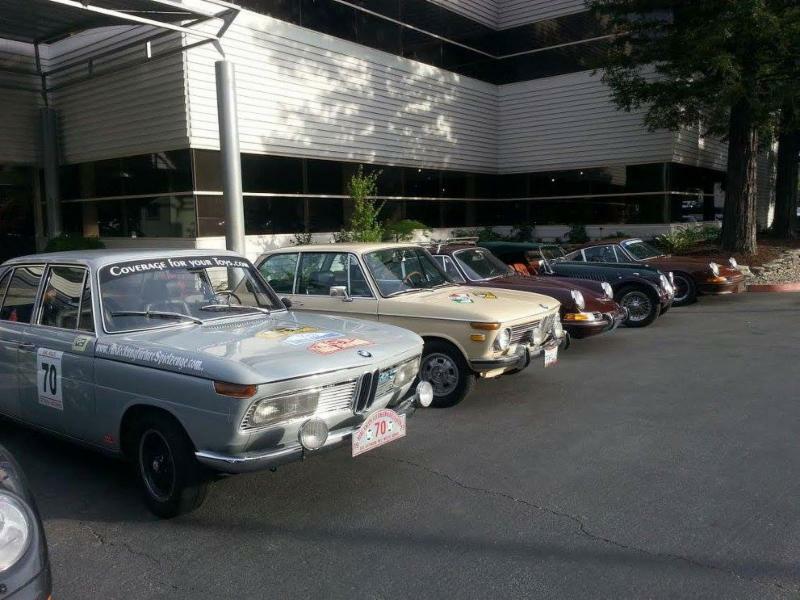 I suggested going back to Canepa to see if they could help. We did talk to the service manager, and he checked his personal stash, but came up empty. He did say that the rotor Chris bought "should" work. Hmmm. At that point the only logical thing to do was to install the rotor and hope for the best. After buttoning up the distributor, the tension was thick as Chris tried again. The Beast fired right up! So after our 2-hour delay, we headed for Carmel, where lunch awaited. Owing to our delay, we elected to skip the lunch and proceeded through the foothills to River Road, which parallels the Salinas River. Again, we were greeted with beautiful scenery, and great twisty roads. Eventually, we rolled through King City. With the final destination of Paso Robles only 60 miles away, we elected to press on. We arrived in Paso Robles in mid-afternoon, and proceeded to a barbecue restaurant that Chris and Dave had sampled on their previous Targa. The food was excellent! After early dinner, it was decision time. We had made reservations in Paso Robles for the night, but we all decided to head back to our respective homes. Of course, for me that meant another 4.5 hours in the car, but I didn't mind. I pointed Barney north on Highway 101, and cruised back home, with a side trip to our hotel in Scotts Valley, where I had left something.... All in all, Barney and I covered nearly 1,500 miles, with no issues at all. Barney only used one quart of Brad Penn too! 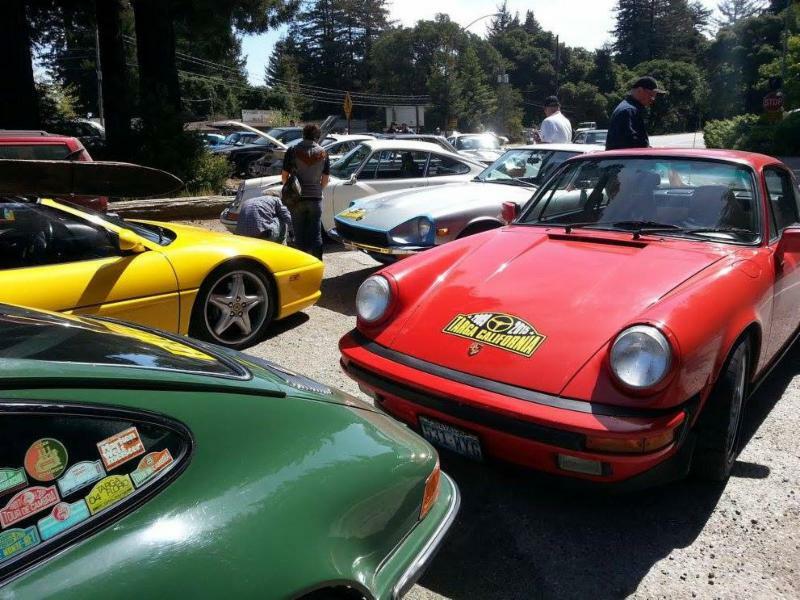 If you like to drive, you owe it to yourself to participate in Targa California. I'm hoping to join Chris next year, when we'll drive our 914s!